brewery apparel | Tioga-Sequoia Brewery Co. It is a milestone in the Tioga-Sequoia Story. We are officially joining the growler club starting this Saturday, 12/21. 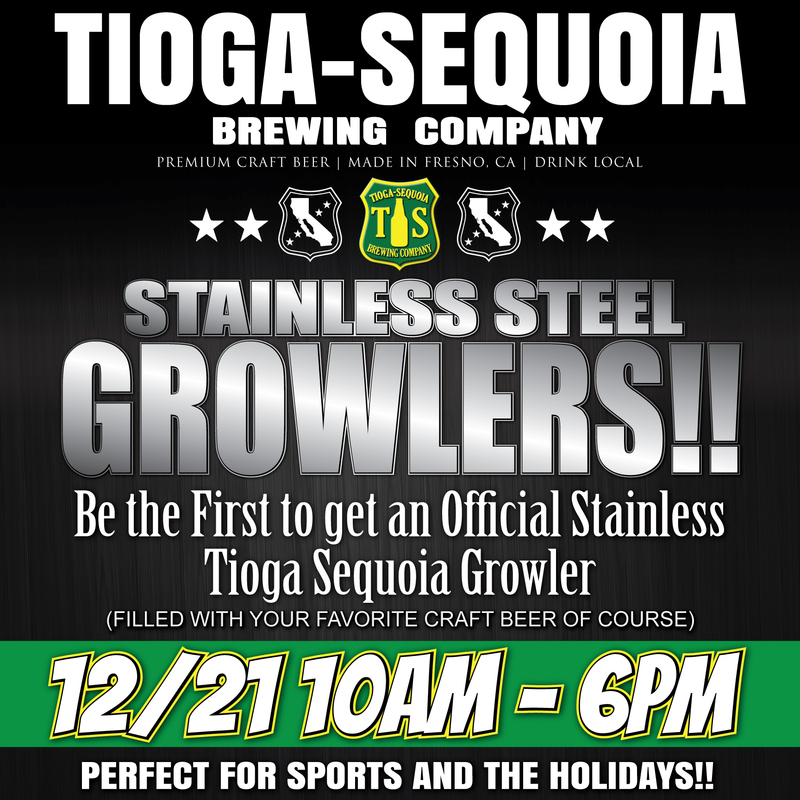 We will be selling brand new stainless steel Tioga-Sequoia growlers filled with your favorite TS beer. The growlers are 1L and can be filled with our core line or some specialty beers that will be available for a limited time.